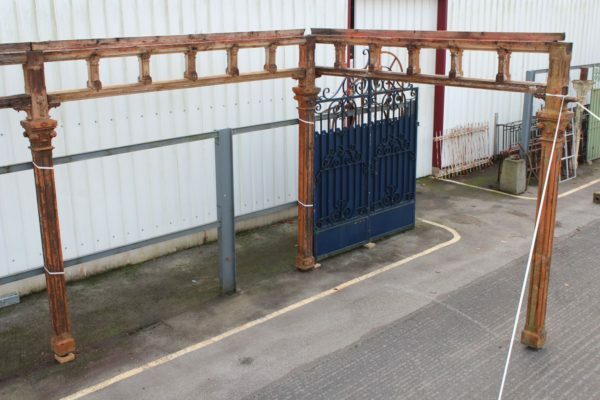 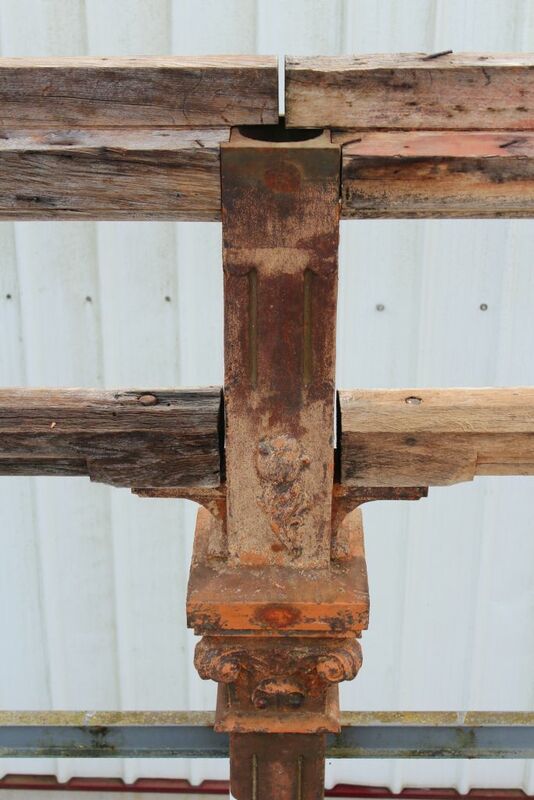 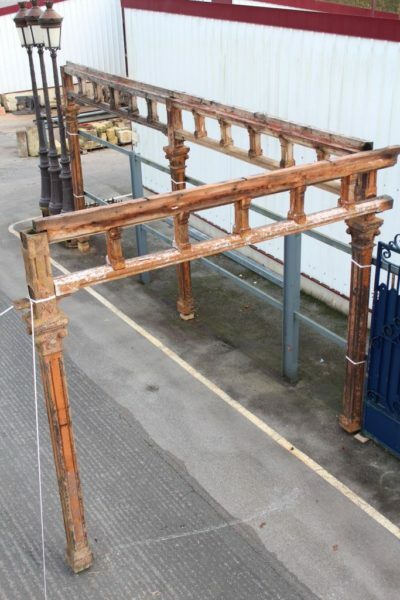 Antique cast iron and oak arcade: remarkable late 19th century (or early 20th?) 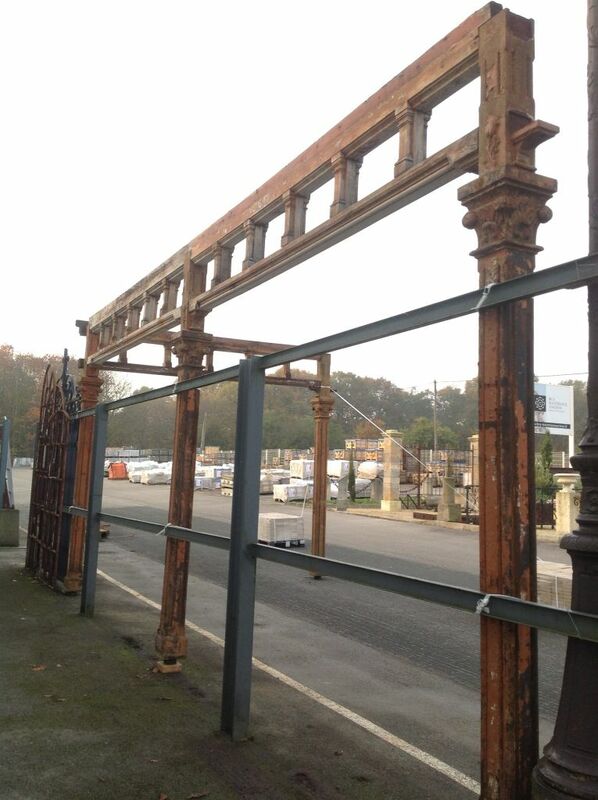 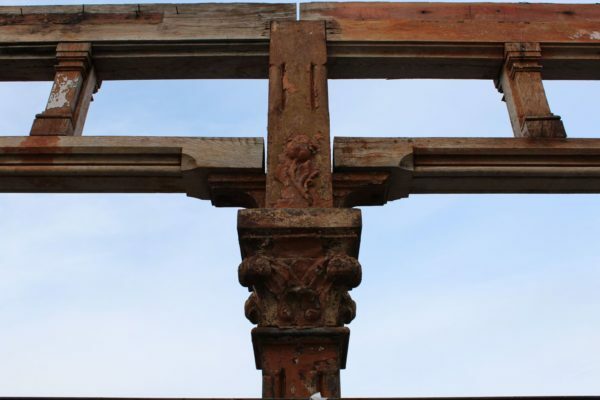 arcade structure comprising decorative cast iron pillars and oak timber components. 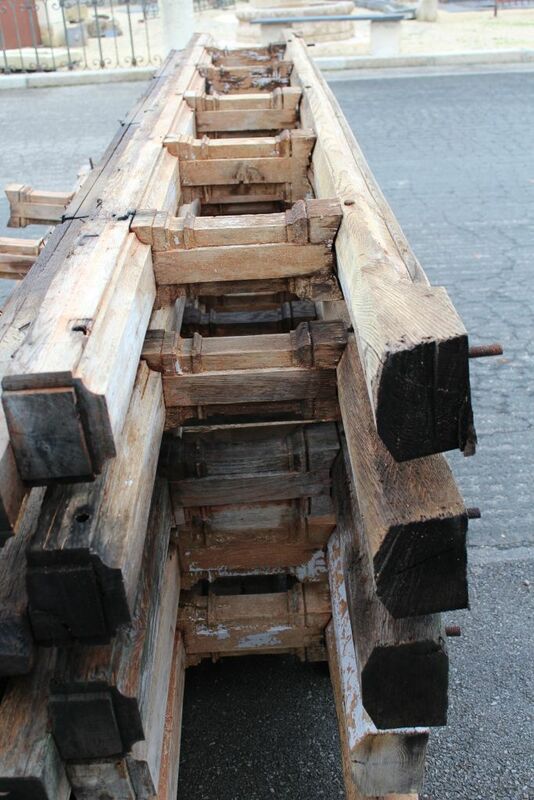 The overall length is approx 42.2 metres (138ft 5 inches). 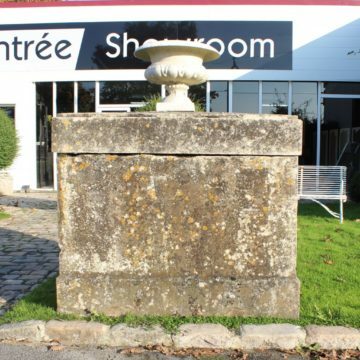 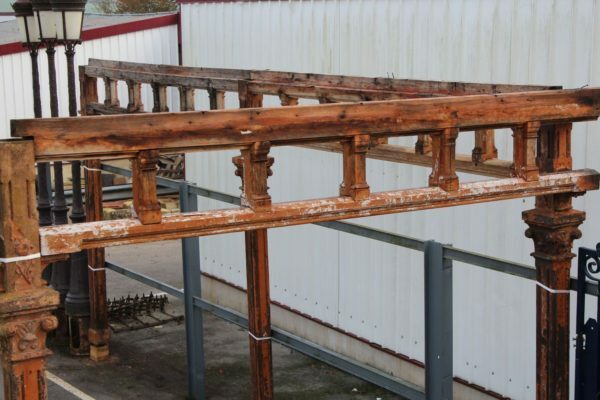 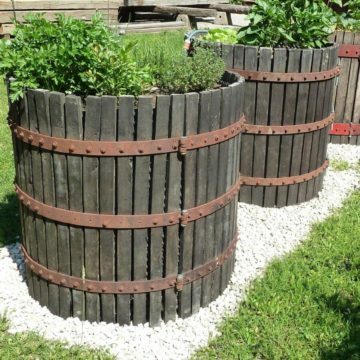 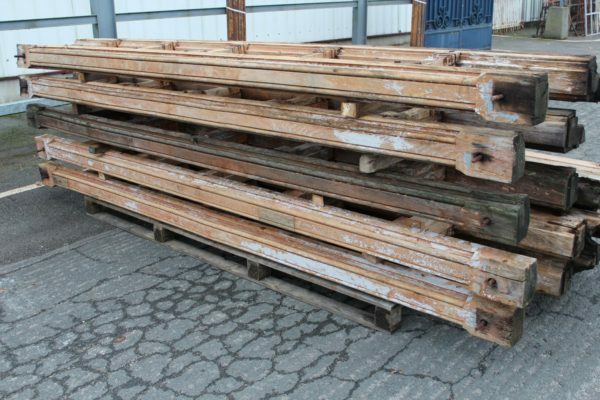 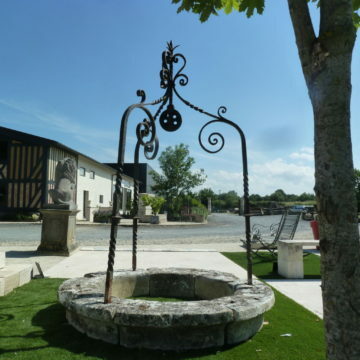 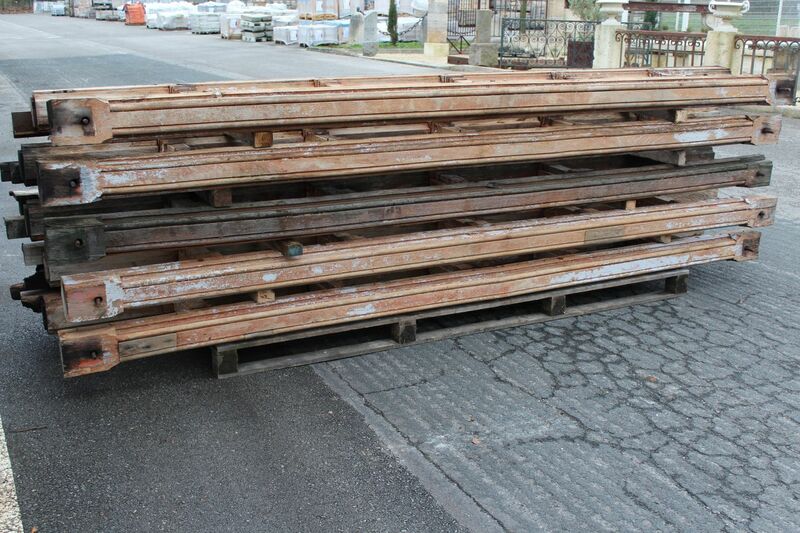 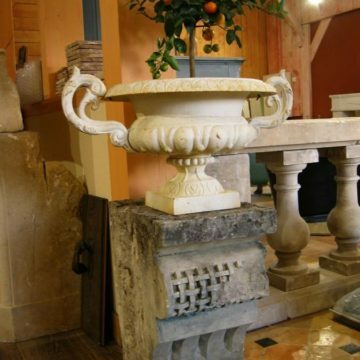 Comprises 12 cast iron columns: Metric dimensions approx: Height 3400mm x section 170mm with 210mm at foot. Top section at cornice 290mm. 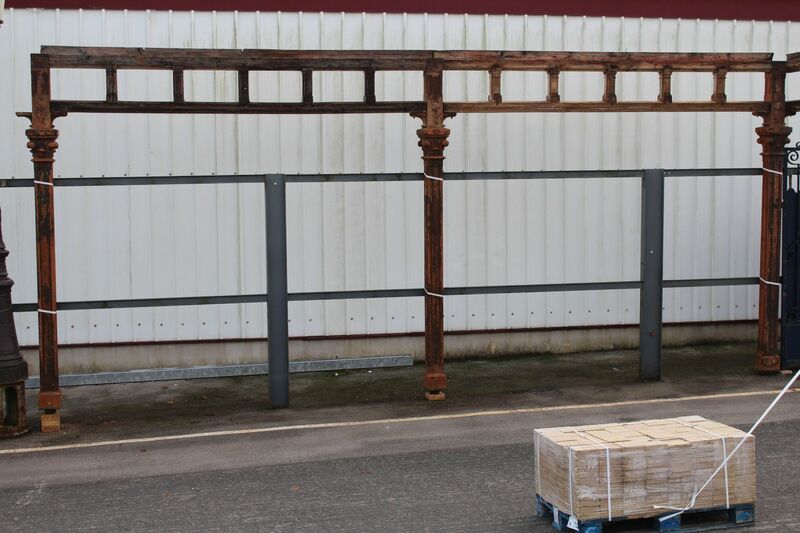 Height of pillars below timber upper oak structure 2850mm. 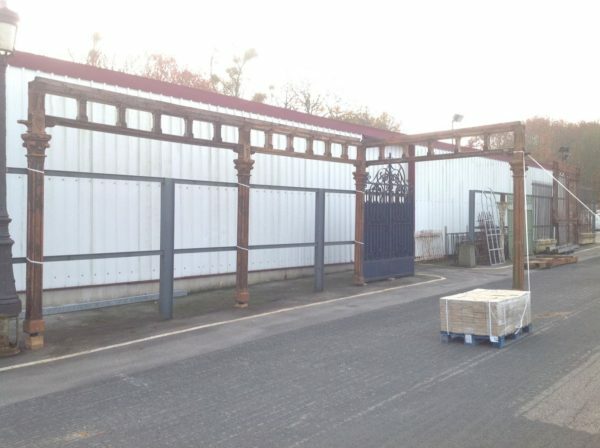 Height of oak structure 640mm. 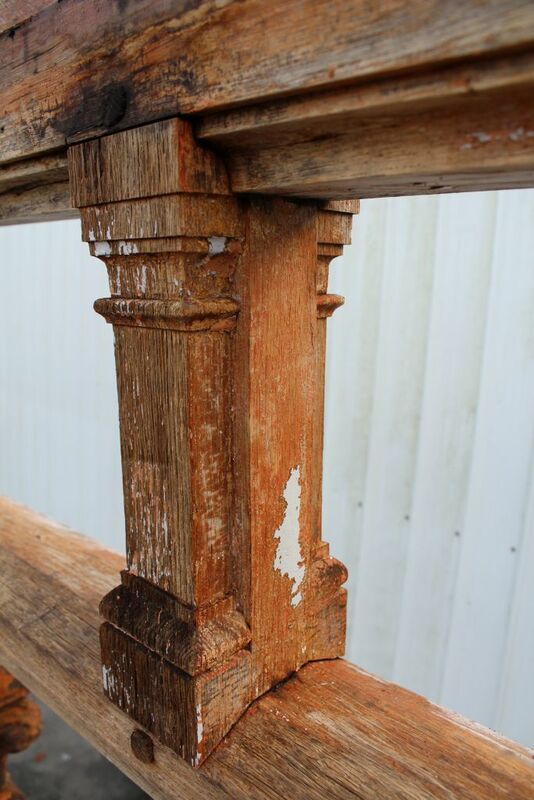 Baluster section 15*10 x length of section 3650mm.